It's exciting to finally be writing this review, because it feels like I've been waiting for this book for ever! I love Lauren Oliver and she was one of my first favourite YA authors after she won me over with Before I Fall. Panic follows Heather and Dodge as they take part in the game of Panic, where a group of teenagers are put through a set of dangerous set of tasks until only the bravest survive. I remember when the novel was first announced people were quick to compare it to The Hunger Games, what with the plot summary detailing a bunch of teenagers competing against each other. Panic is in no way like The Hunger Games and I want to get that out the way quite quickly. It's contemporary/realistic fiction and all the challenges the kids face are extreme versions of high school dares and pranks that have been escalated to dangerous levels, so it is very much placed in the real world. The book is told from dual points of view from Heather and Dodge's POV. Heather is living in a trailer park with a reckless mother and a younger sister to look after and could really do with the prize money that winning the game of Panic provides. Dodge lives with his wheelchair bound sister and wants revenge for the incident that damaged her legs. Both characters are driven and determined which really powered the story. I found the tone of the book to be quite dark. I loved the way the story took on fear and really made you feel what the characters were going through during those terrifying moments. There were some great twists and turns caused by secrecy and betrayal of trust as well which really shook things up. I think Lauren Oliver has conjured up the small town vibes really well. The book is set in Carp, a town that doesn't seem to have much going for it yet is pretty tough to get out of. The characters we meet are in quite bleak situations and you can really feel their desperation to win Panic and how many opportunities to escape their current lives that would give them. As well as Heather and Dodge, we meet Heather's friends Natalie and Bishop, who are both also caught up in the game of Panic. I liked the developing relationships between the four of them and how there's a few romantic tensions thrown in there to amp up the emotional side to things. I was definitely drawn a lot to Dodge. I also loved the scenes with Heather and her younger sister Lily as they try and fight their way out of some pretty miserable circumstances. I always love a good sister relationship! The only downside for me was that the story jumps in just as the game of Panic is getting underway. I felt it could maybe have done with a bit more build up at the start of the book to get to know the characters before they're forced into these dangerous situations, so I could feel them out and get to know them a little more. 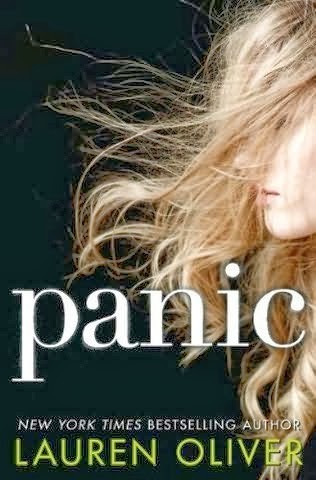 I love Lauren Oliver's beautiful writing and that was no different in Panic. The use of language just blows me away every time. I loved the little bits of foreshadowing throughout the book and how there were still plenty of surprises and plot twists on top of that. I got so invested in the characters and their fates with those intense moments Heather and Dodge go through. 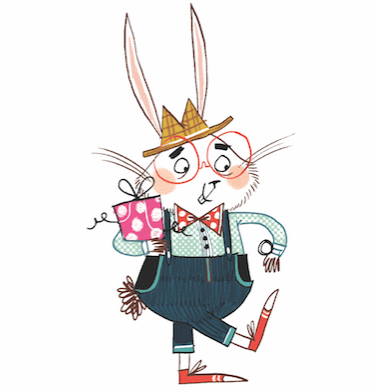 If you loved Oliver's previous books then I have no doubt that you'll enjoy this one. Overall I was really impressed by Panic. It was different to what I was expecting, but had me hooked to the pages and by the last couple of chapters the adrenaline was really going! It was different to what I was expecting - bleaker is the word I'd use - but it's one of those books that stays with you long after you close the pages which is one of the best complements I can give.